A tale of an intricate, well-planned execution is unravelling with the arrest of a 28-year-old woman at KLIA2, the scene of assassination of Kim Jong-nam, the estranged half-brother of North Korean leader Kim Jong-un. The woman, who was holding a Vietnamese passport identifying her as Doan Thi Huong, was detained at the airport at 8.20am yesterday before she could board a plane to Vietnam. A taxi driver was arrested earlier. According to reports, the woman, who was captured on CCTV wearing a white T-shirt with the words “LOL” on it, claimed to have been duped into attacking Jong-nam. She said she thought she was pulling a prank on the man at the time. Even if she was telling the truth about being lied to, the web of deceit could be far more intricate. Police are now looking for four men and the other woman assassin. The five had been with the arrested suspect in a hotel in Bandar Baru Salak Tinggi not far from the airport but had abandoned her a little later. She reportedly then decided to head for the airport to take a flight home. Her story opens up the possibility that the other five had been the real killers who had planned the execution while the arrested woman was the pawn in their plot. Police believe the five are still in the country and have vowed to hunt them down. To add to the intrigue, North Korea has objected to the autopsy on Jong-nam’s body but Malaysian authorities have gone ahead with the post-mortem. It has been completed and it is believed that the poison used to kill Jong-nam has been identified. Among the possible poisons are ricin, a lethal chemical found in the seeds of castor oil plants or tetrodotoxin, which is the killer ingredient in pufferfish. The former is a slow working poison while tetrodotoxin is known to paralyse and kill victims fairly quickly. 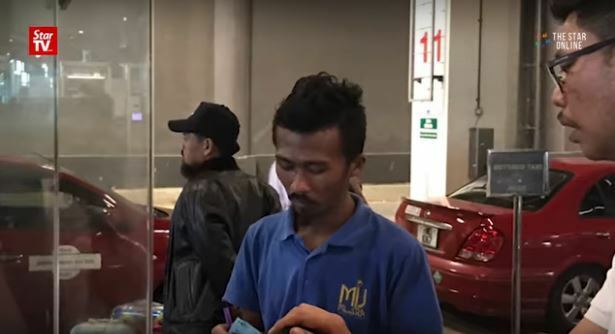 Deputy Inspector-General of Police Tan Sri Noor Rashid Ibrahim said the arrested woman had been “detained in connection with the death of a North Korean man at the airport on Monday. She was identified based on CCTV footage at the airport and she was alone at the time of the arrest”. The woman, whose passport stated that she was from Nam Dinh, Vietnam, is being held at the Selangor police headquarters and police are checking the validity of her nationality. “We are not ruling out the possibility that more suspects will be picked up in the coming days,” he said. It is learnt the taxi driver has since been released after his statement was recorded. The arrest of the woman also puts to rest earlier reports that the two assassins had committed suicide. “We have caught one suspect and we are hunting the other one,” he vowed. Sources said that upon her arrest, Doan, who led police to the hotel in Bandar Baru Salak Tinggi, told police that she was convinced by the female friend and four men to play a prank on a man (Kim Jong-nam). She claimed it was never her intention to kill or even hurt the man as she thought it was just a harmless joke. It is learnt that Doan came to Malaysia with the five others for a vacation. However, after the “prank”, the woman alleged she was abandoned by her companions.